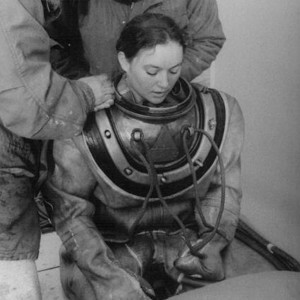 Tradition and equipment discouraged women from becoming divers. Navy divers were exclusively male for over one hundred years. Dive gear, designed to fit men, was heavy and oversized for female divers. 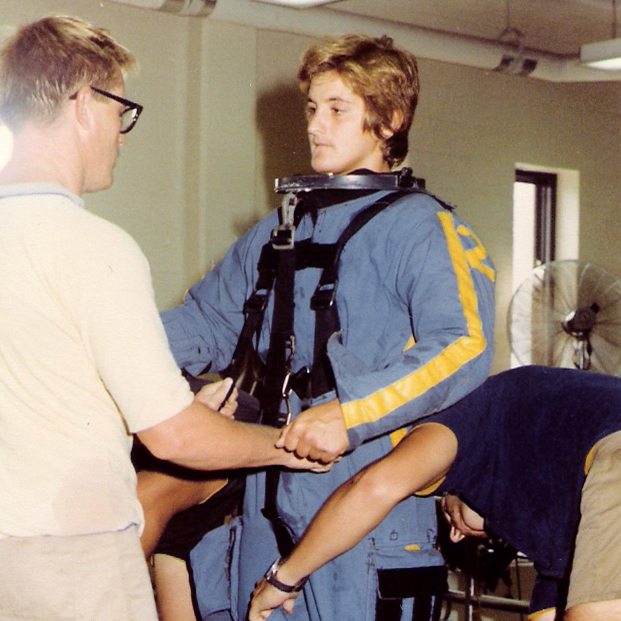 Hull Technician Donna Tobias made history in 1975 when she graduated from the Navy’s Deep Sea Diving School as the Navy’s first female hard hat diver. “She had to prove herself, to be twice as good at everything, and she was,” remembered retired Master Diver Steven Lechner. This exhibit examines the challenges and achievements of some of the first women Navy divers. Through determination, persistence, and a love of diving, these early pioneers proved themselves in a male-dominated world to become valued, respected members of the Navy diving community. Use the tabs below to explore their experiences in their own words. 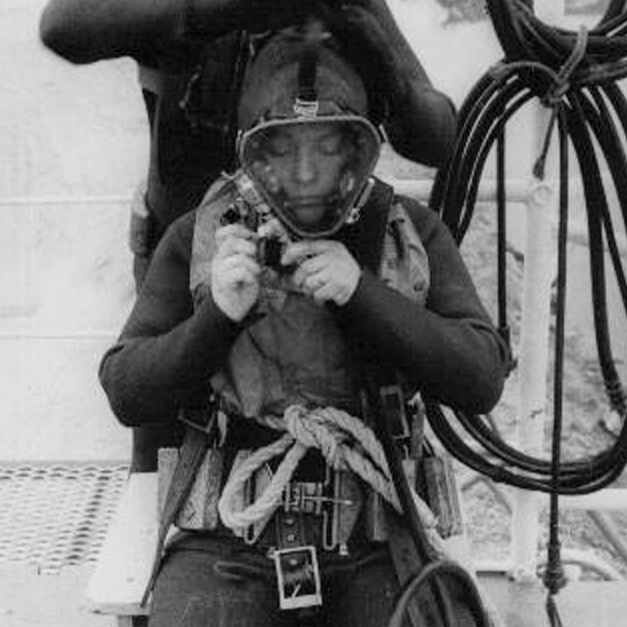 Women became Navy divers for many reasons. Some had loved the water as children. TV shows such as Sea Hunt captured the interest of others. Some women, after they joined the Navy, became fascinated with the work the divers did. And some wanted a career where the standards for women were the same as those for men. 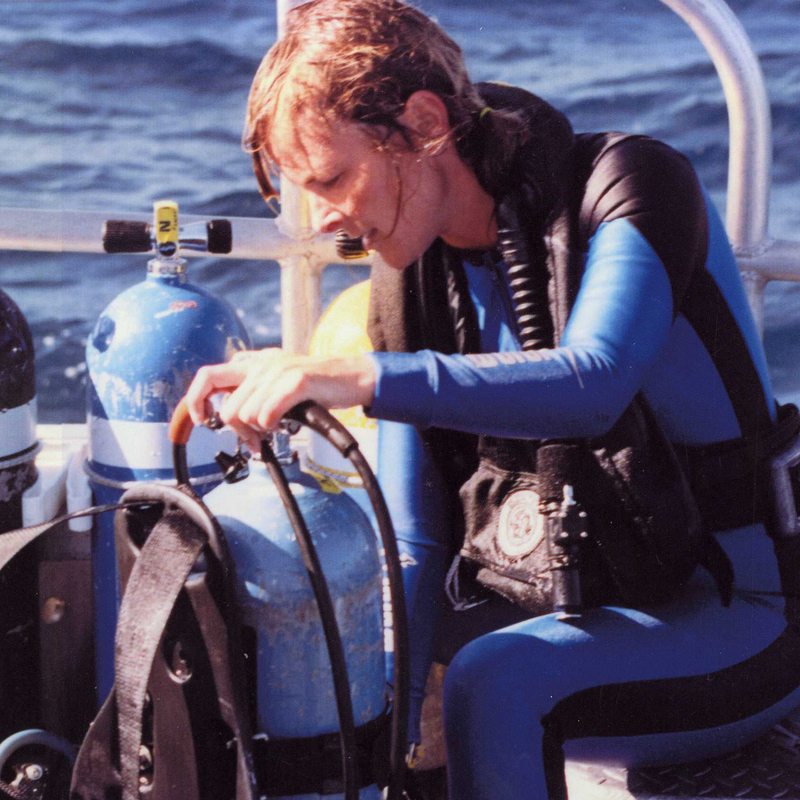 Mary Bonnin became interested in diving when working at the Norfolk Naval Shipyard. A dive school slot became available to her unit when a male sailor decided not to go. A Chief Warrant Officer told Mary, “You couldn’t do it. Babe, what do you want to be a diver for? You’ll be thrown out of that school in a week.” His challenge made her determined to succeed. 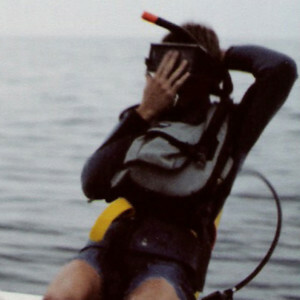 Diving officials often cited the physical differences between men and women to discourage women from becoming divers. Less upper body strength, less aerobic capacity, higher risk of the bends, hormonal differences, and pregnancy were used as reasons for them not to dive. Medical science has disproved these ideas about women’s physiological fitness for diving. Today the primary restriction to diving is pregnancy. The physical qualification for women divers is the same as those for men: be physically fit and in good health. Donna Tobias became the first woman to graduate from the Navy’s Deep Sea Diving School in 1975. 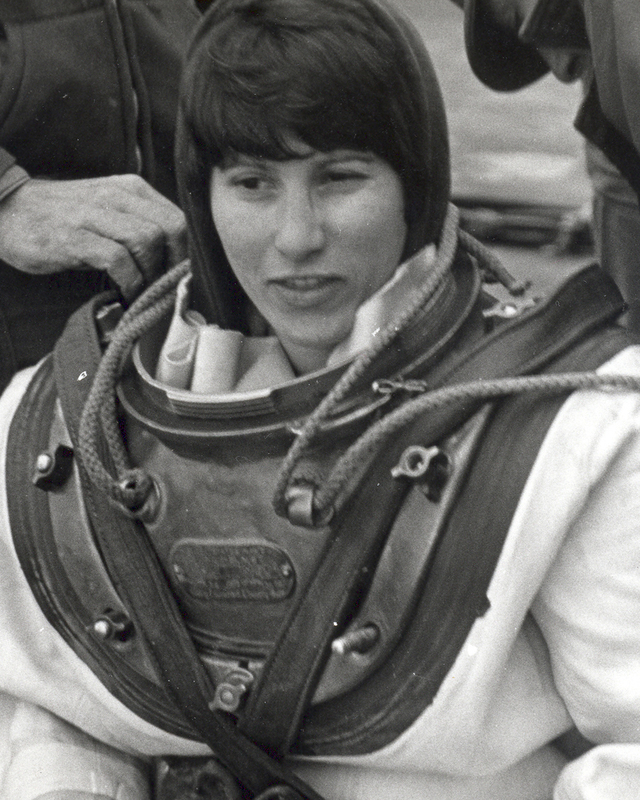 She had to handle some 200 pounds of gear, including a Mark V dive helmet, weighted boots, and a heavy canvas suit. She dove in water that was often dark, cold, and turbulent, accompanied by men, some of whom were supportive and many more who resented her invasion of their domain. 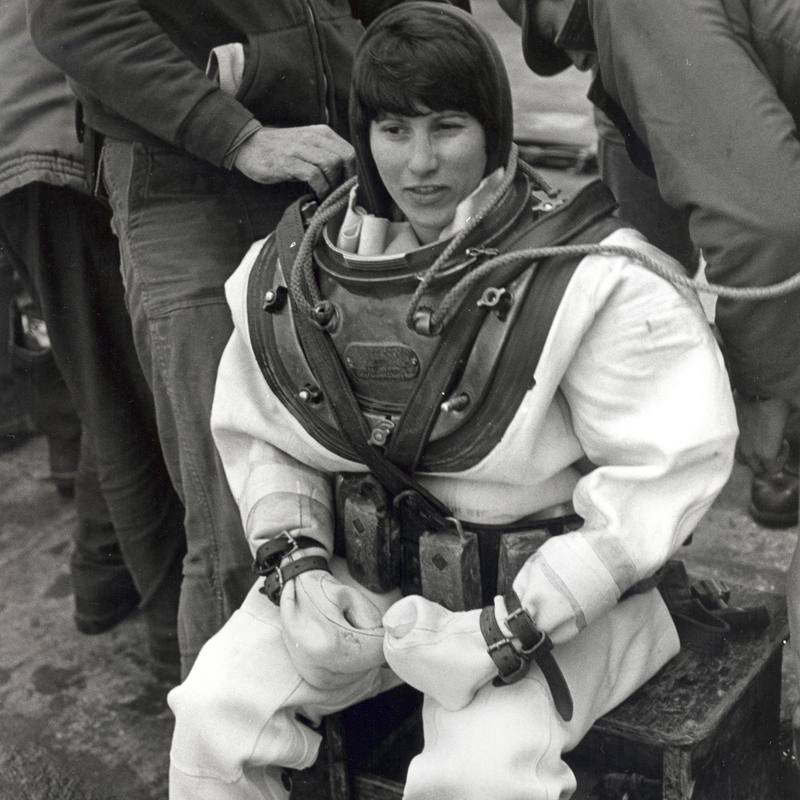 In the face of physical hardship and institutional barriers, the first women Navy divers were determined. They struggled with equipment sized for larger bodies and an organization that was not always welcoming. A diver’s life depends on being part of a team. Divers train and dive in teams. Divers working in the water are supported by their shipmates on the surface. Teamwork is at the core of everything divers do. 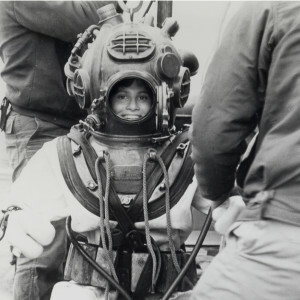 Learn more about the women divers originally featured in this exhibit and other female Navy divers who also helped pave the way. Captain Debra Bodenstedt qualified as a SCUBA, surface-supplied, and mixed gas diver in 1983. 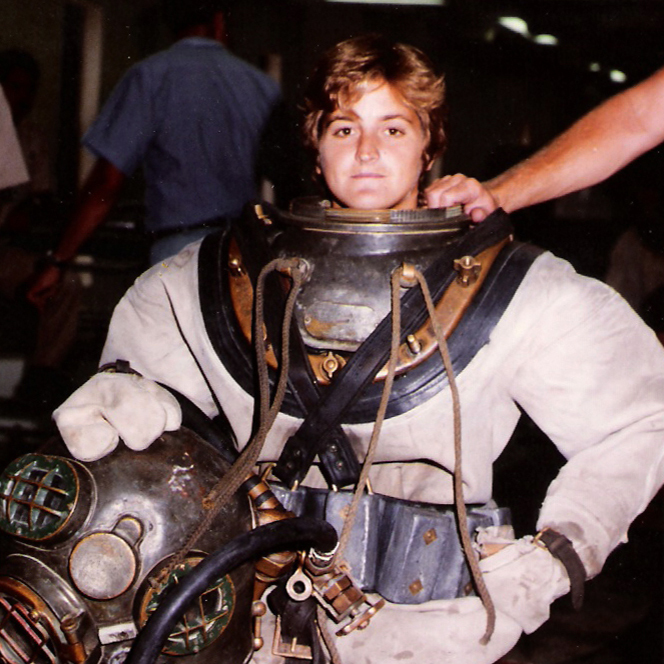 In 1984, she became the first woman to qualify as a submarine rescue chamber operator, and was the first woman to command the Consolidated Divers Unit in San Diego from 1998-2000. Captain Bodenstedt worked on the Challenger recovery in 1986 and dove on the USS Monitor salvage expedition in 2001. She was inducted into the Women Divers Hall of Fame in 2002. 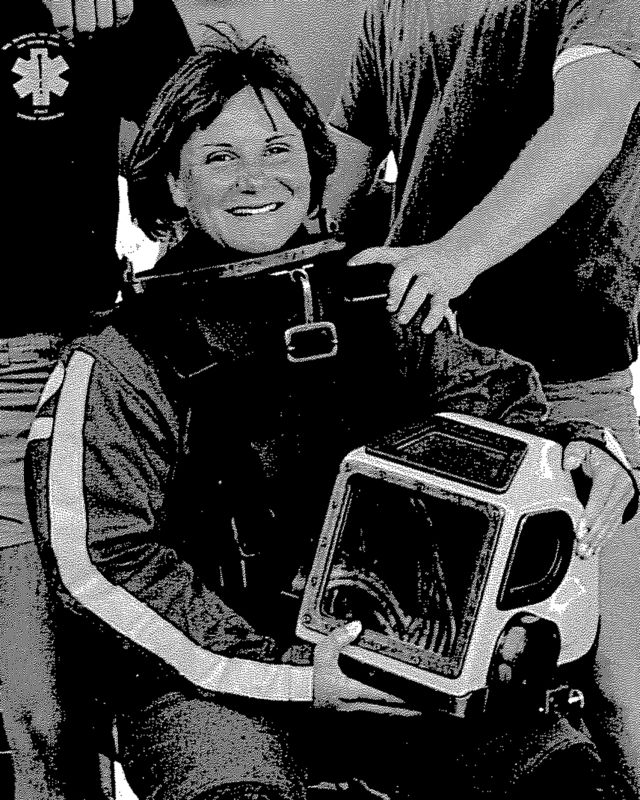 Master Chief Mary Bonnin earned her initial diving qualification in 1977. 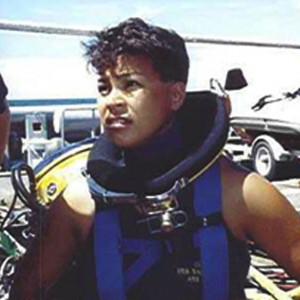 When she graduated from First Class Diving School in 1981 at the top of her class, she received the Honor Person designation and became the first woman to qualify as a Diver First Class. 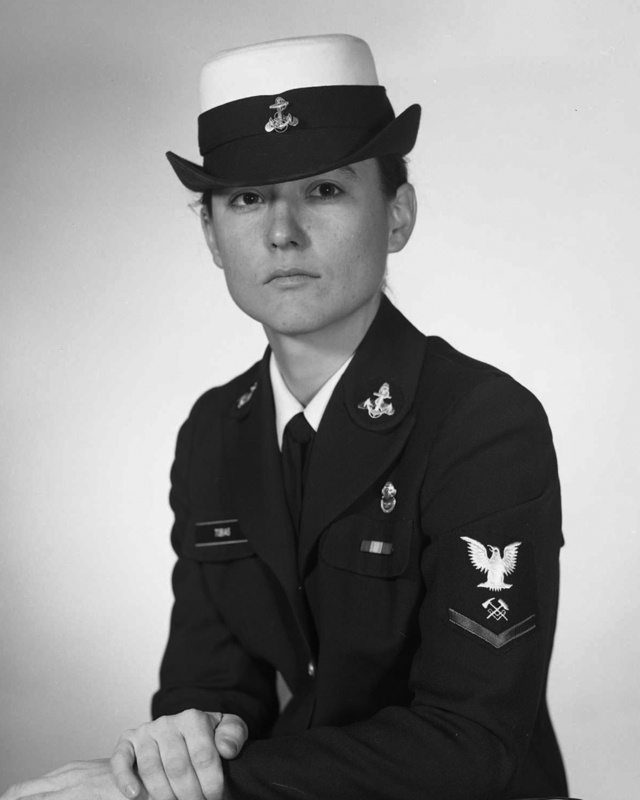 During the seven years she spent as a Navy diving instructor, Master Chief Bonnin trained more than 1,000 divers. In 1990, she earned the title of Master Diver and remains the only woman to do so. She was inducted into the Women Divers Hall of Fame in 2001. 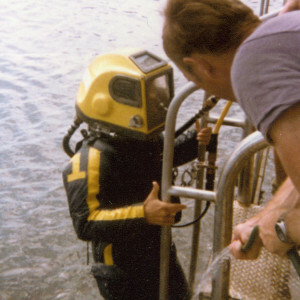 Rear Admiral Bette Bolivar earned her initial diving qualification in 1989. 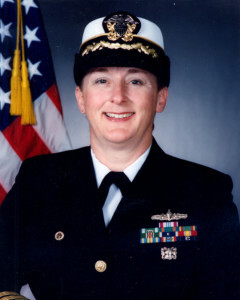 From 1988-2000 she was the Commanding Officer of USS Salvor (ARS-52) and served as the director of ammunition offload from USS Cole (DDG-67) after the 2000 terrorist attack in Yemen. Rear Adm. Bolivar served as the first female Commanding Officer of Mobile Diving and Salvage Unit One from 2003-2005. Ashore, she served as commanding officer of Naval Weapons Station Yorktown and Navy Munitions Command CONUS East Division (NMC CED, chief of staff for Commander Navy Installations Command (CNIC), and Commander, Navy Region Northwest, and Commander, Joint Region Marianas. 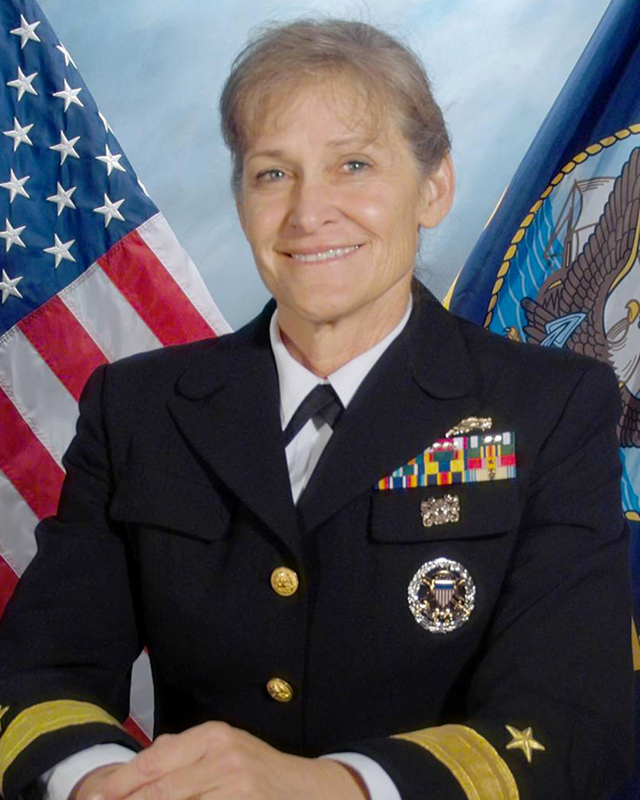 In 2017, she took command of Navy Region Southwest. Rear Admiral Bolivar was inducted into the Women Divers Hall of Fame in 2005. 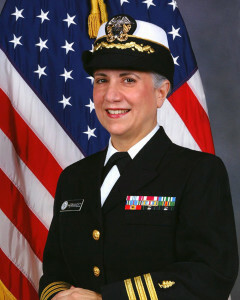 Captain Victoria Anne Cassano completed Submarine SCUBA School in Groton, Connecticut, in 1982. She earned her doctorate in medicine in 1984 and became a qualified Diving Medical Officer in 1985. In 1987 she became one of the first women qualified in submarines. 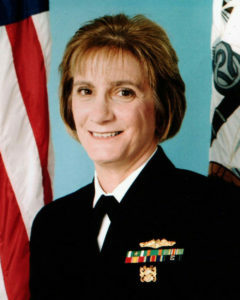 Captain Cassano was the first woman to command the Naval Undersea Medical Institute from 2000-2003. 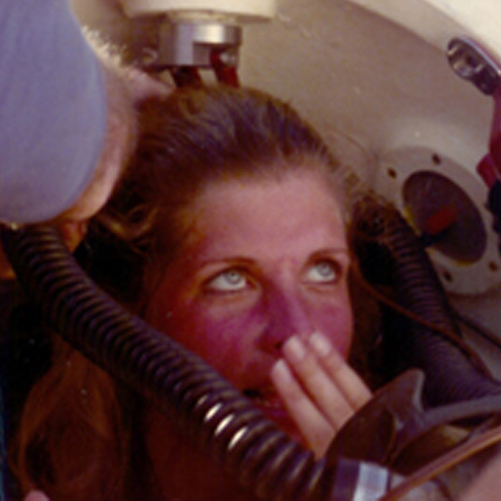 In 2004 she became board certified in Undersea Medicine. 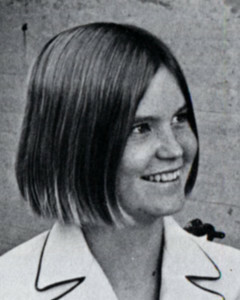 She was inducted into the Women Divers Hall of Fame in 2004. Kati Garner was the first woman to graduate U.S. Navy SCUBA diving school. 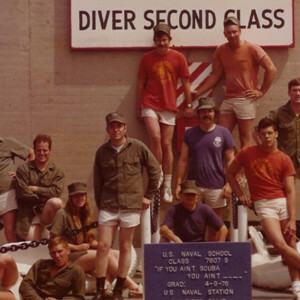 When the Navy sought women for dive training in 1973, Kati jumped at the chance, bored with her WAVES typewriting classes. 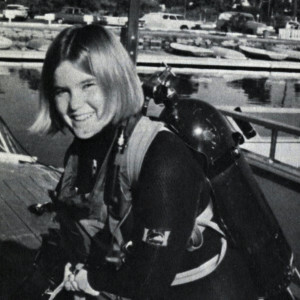 She persevered through the four-week SCUBA class and graduated November 30, 1973, qualifying as the Navy’s first female SCUBA diver. 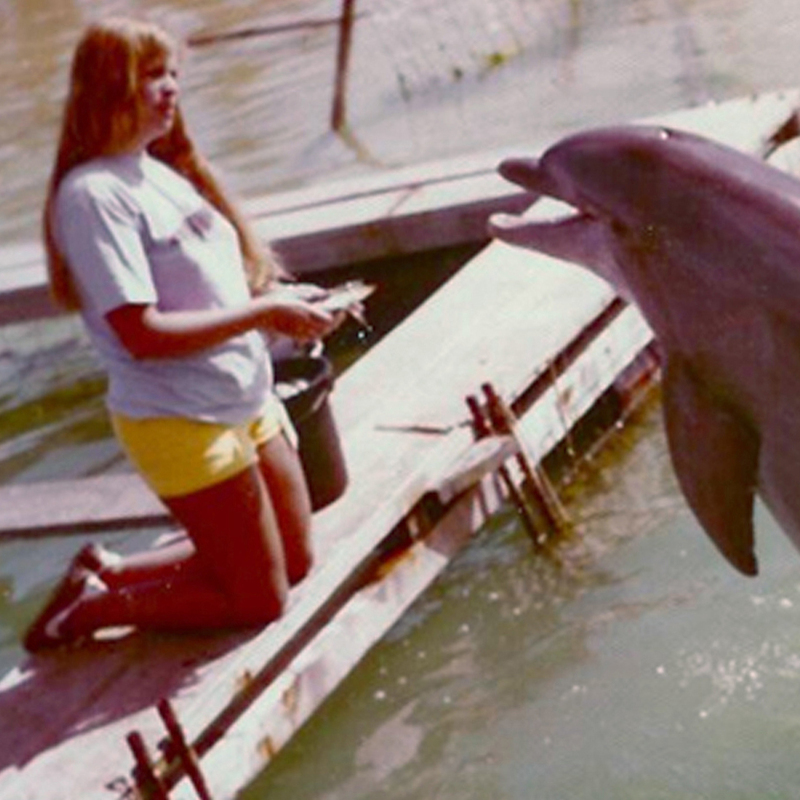 Kati went on to work at the Navy’s Water Survival Department and the Marine Mammal Program. 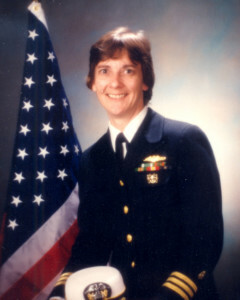 Captain Gina Harden completed Basic Diving Officer and Salvage School in 1982. 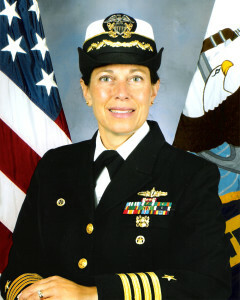 She served as Salvage Officer for the U.S. Fifth Fleet in 1999 and as Barge Operations Officer for the USS Monitor salvage expedition 2001-2002. Captain Harden was also the Officer in Charge of Mobile Diving and Salvage Unit Two, Detachment 608, from 2000 to 2002. 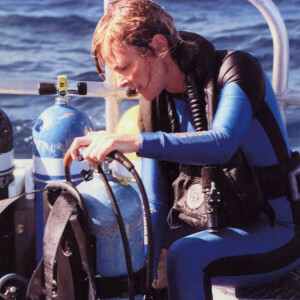 She has worked around the world as a Navy Diving Specialist and was inducted into the Women Divers Hall of Fame in 2003. Rear Admiral Martha Herb was one of the first female officers to graduate from the Navy School of Diving and Salvage in 1980. She was the first woman at Mobile Diving and Salvage Unit One to direct the Navy’s Underwater Hull Cleaning program, and one of the first women to qualify as a Surface Warfare Officer. 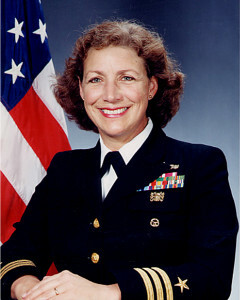 Rear Admiral Herb also served as the first female Officer in Charge of the Second Class Diving School for the Naval Surface Forces in the Atlantic Fleet. 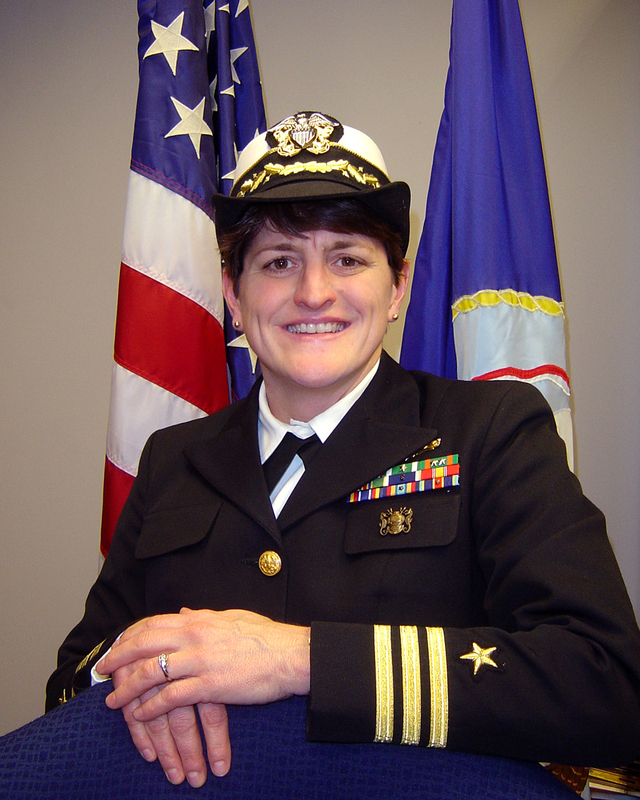 In 2010, she was promoted to Rear Admiral — the first female Diving Officer to hold this rank. Commander Rene Hernandez served as a diver for the National Oceanic and Atmospheric Administration and earned her doctorate in neuroscience before joining the Navy in 1998. From 1998 to 2004 she was a research physiologist with the Operational and Undersea Medicine Department of the Naval Medicine Research Center. 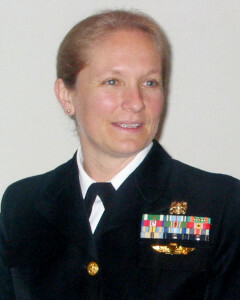 In 2004 she became the Director of Research for the Department of Military and Emergency Medicine at Uniformed Services University of the Health Sciences. 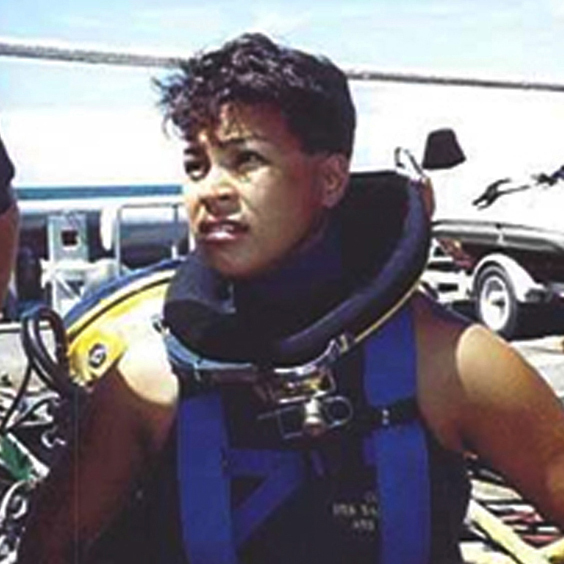 Commander Hernandez was inducted into the Women Divers Hall of Fame in 2004. Lieutenant Commander Linda Hubbell graduated from Navy Second Class Diving School in 1976 as the first female officer to qualify as a SCUBA diver. She worked for the Navy as a marine mammal researcher from 1976 to 1978. In 1979, she became the first woman to train in an atmospheric diving suit and was also the first female officer to dive the Mark 12 Surface-Supported Diving System. Lieutenant Commander Hubbell joined the Women Divers Hall of Fame in 2005. 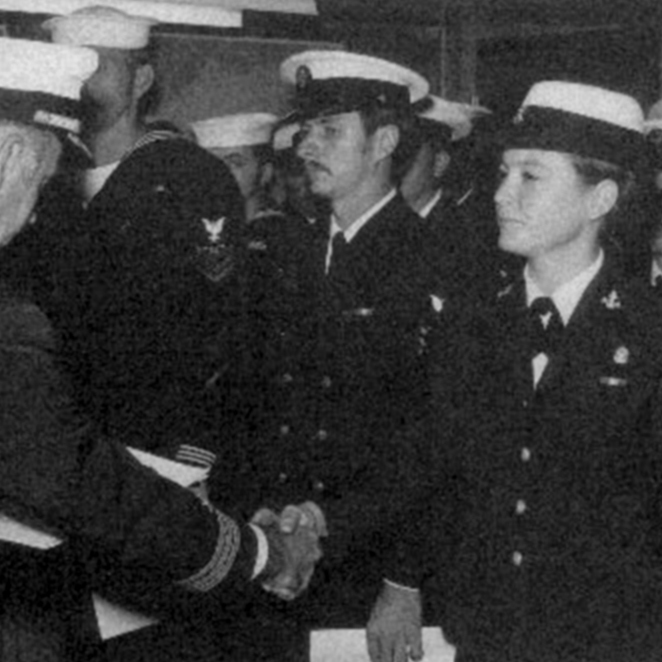 Commander Darlene Iskra graduated from the Naval School of Diving and Salvage in 1980 as one of the first female diving officers. 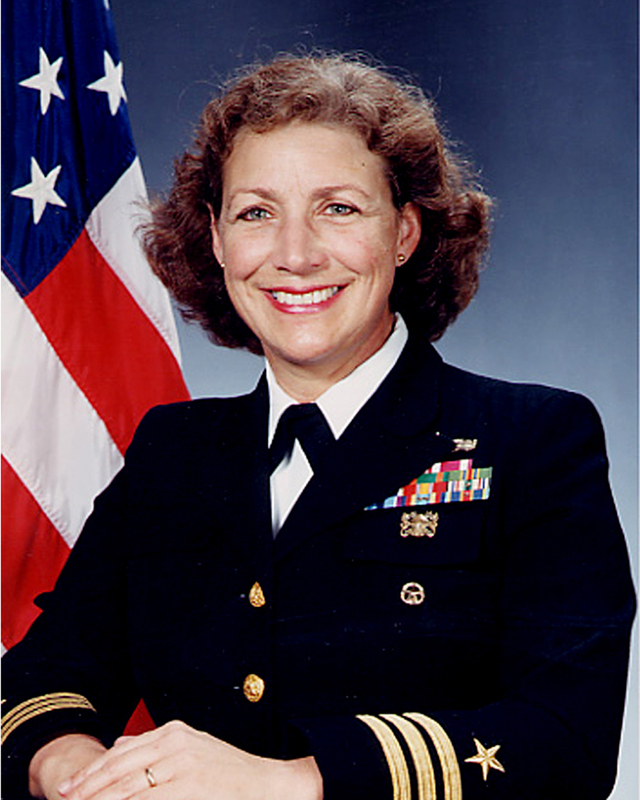 She served as Diving Officer aboard USS Hector (ARS-7), 1980-1982, and as Executive Officer of USS Hoist (ARS-40), 1989-1990. In 1990, Commander Iskra took control of USS Opportune (ARS-41), becoming the first woman to command a commissioned Navy vessel. She served as Opportune’s Commanding Officer through 1993. In 2008, Commander Iskra was inducted into the Women Divers Hall of Fame. Captain Marie Knafelc earned her doctorate in medicine in 1980 and joined the Navy afterwards as an Undersea Medical Officer with the Navy Experimental Diving Unit. She qualified in SCUBA, mixed gas, and saturation diving. In 1984, she became the first female Medical Officer qualified in submarines, and in 1987, the first female saturation diving Medical Officer. 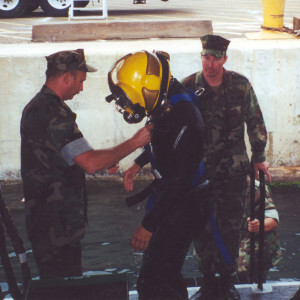 From 1992 to 2002, Captain Knafelc served as the Senior Medical Officer/Medical Director for the Navy Experimental Diving Unit. She was inducted into the Women Divers Hall of Fame in 2000. 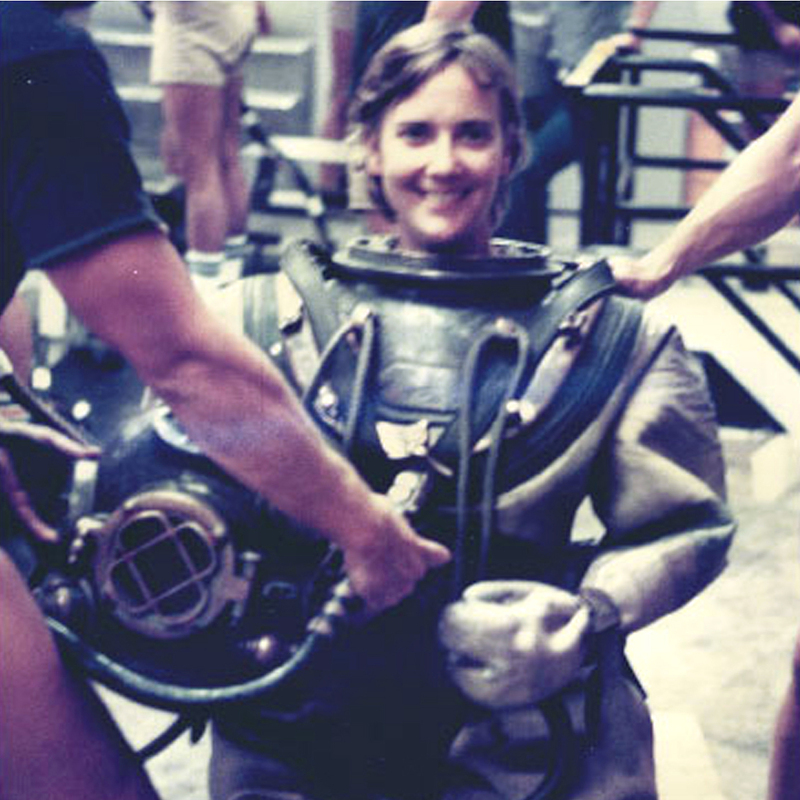 Commander Karen Kohanowich completed Navy Salvage and Mixed Gas Diving School in 1983. She served as Diving and Operations Officer of USS Safeguard (ARS-50), 1986–1988, and qualified as a pilot for submersible Pisces IV in 1993. From 2002 to 2005, Commander Kohanowich was the Ocean Resources Advisor to the Assistant Secretary of the Navy; in 2005, she began working for the National Oceanic and Atmospheric Administration as the Deputy Director of their Undersea Research Program. 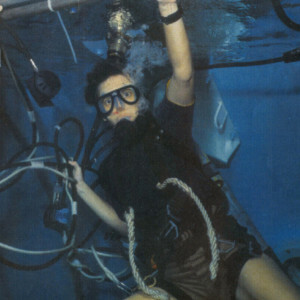 She joined the Women Divers Hall of Fame in 2001. Captain Karin Lynn joined the Navy’s Civil Engineer Corps in 1977 and qualified as a Basic Diving Officer and Salvage Officer in 1983. 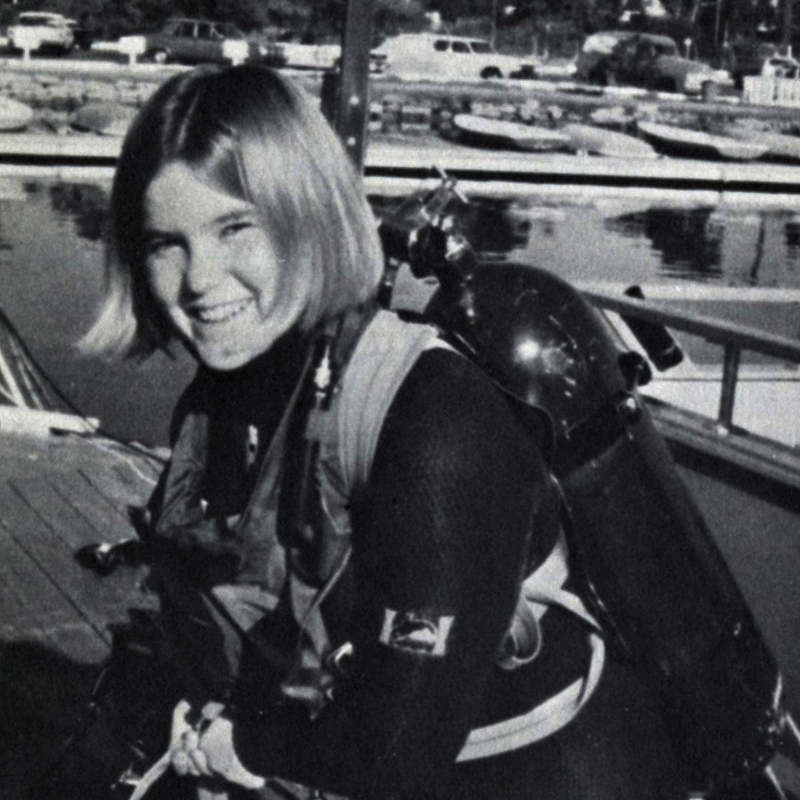 She went on to specialize in diving and underwater systems. 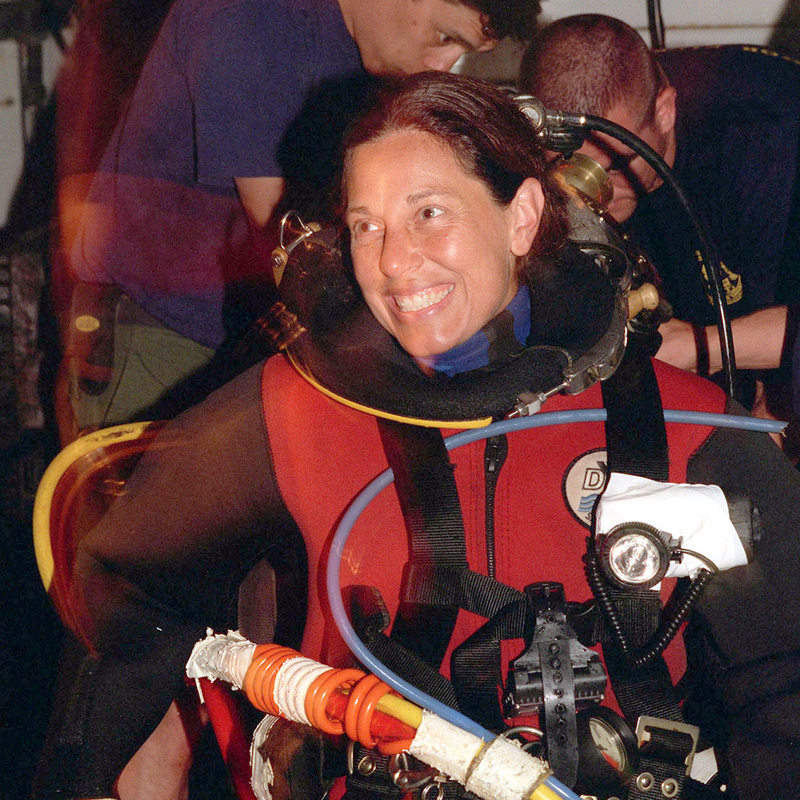 From 1997 to 2001, Captain Lynn was the Director of the Naval Ocean Facilities Program where she managed 250 military divers and ocean engineers. She was inducted into the Women Divers Hall of Fame in 2000. 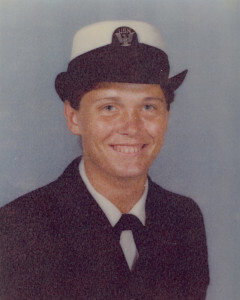 Captain Bobbie Scholley graduated from Basic Diving Officer School in 1983. She went on to serve as a Commanding Officer (CO) in several capacities: for USS Bolster (ARS-38) from 1992–1994, as the first female CO of Mobile Diving and Salvage Unit Two from 2000–2002, and of Naval Weapons Station Earle in New Jersey. 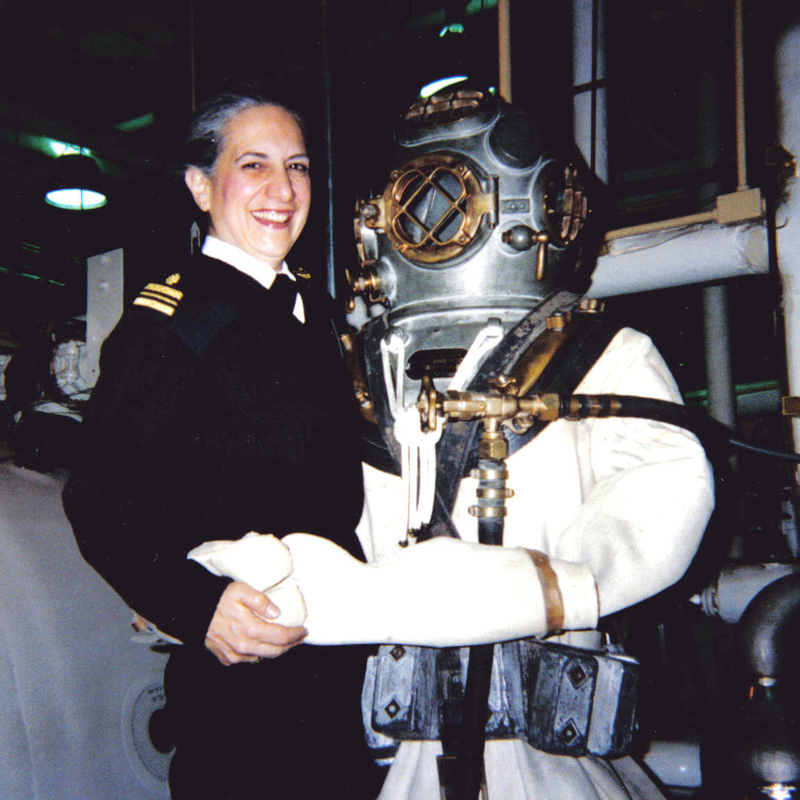 In 1997, Captain Scholley became the first woman to serve as the Navy’s Supervisor of Diving. She was the Diving and Salvage Officer for the 1996 TWA Flight 800 recovery operation and supervised diving operations on destroyer USS Cole (DDG-67) in Yemen after it was attacked by terrorists in 2000. Captain Scholley also acted as the on-scene commander during the 2001 and 2002 USS Monitor recovery expeditions. She joined the Women Divers Hall of Fame in 2000. 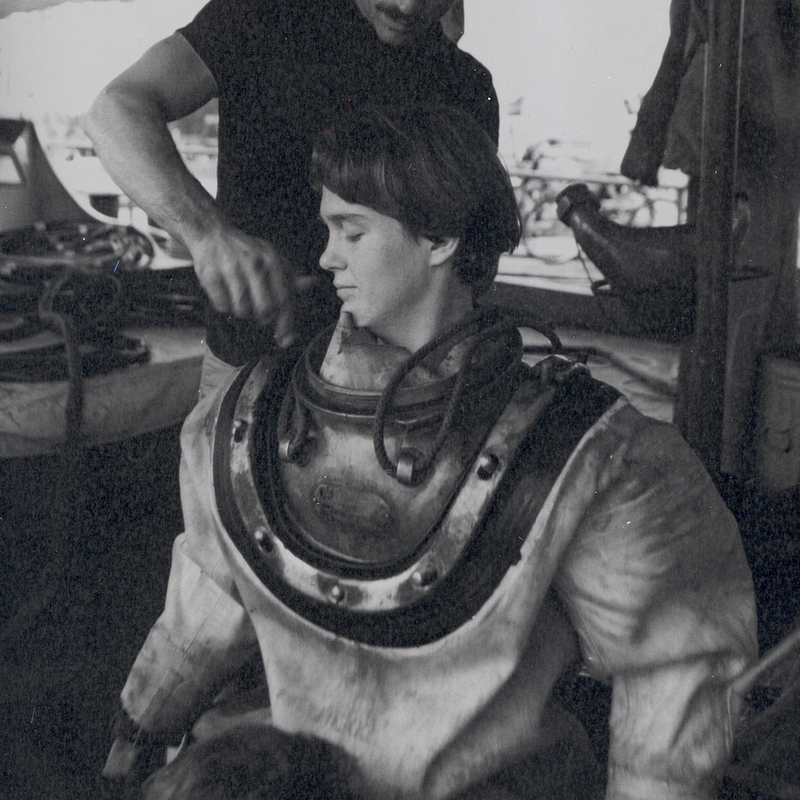 Hull Technician Donna Tobias graduated from the Navy’s Deep Sea Diving School in 1975, making her the Navy’s first female hard hat diver. She performed underwater repairs on surface ships and submarines and helped convert two barges into diving and salvage liftcraft. 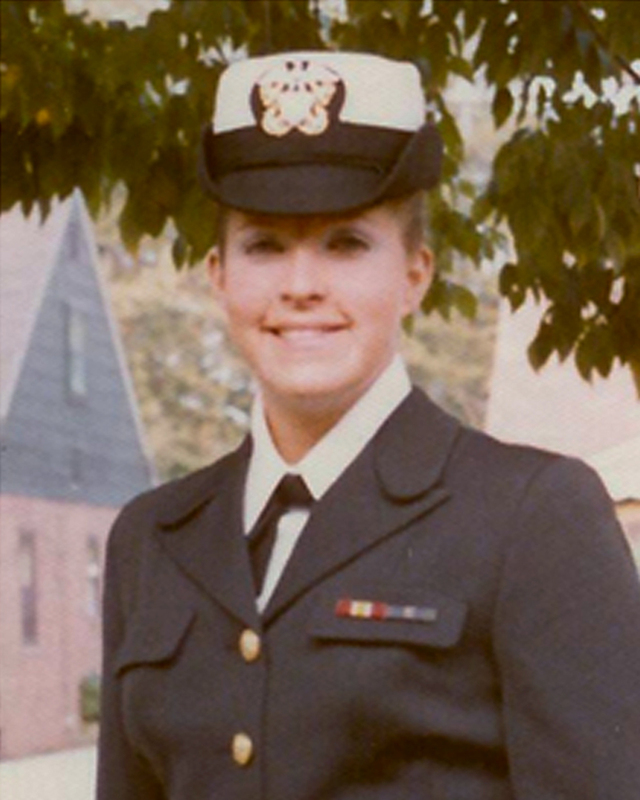 Donna served as a submarine escape instructor, hyperbaric chamber operator, and SCUBA instructor at the Submarine Escape Training Tank in Groton, Connecticut from 1976–1980. She was inducted into the Women Divers Hall of Fame in 2001. 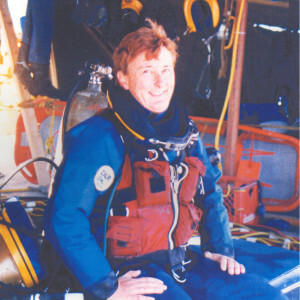 Commander Sue Trukken became the first female diving officer and the first female mixed gas diver upon graduating from Basic Diving and Salvage Officer Training in 1980. 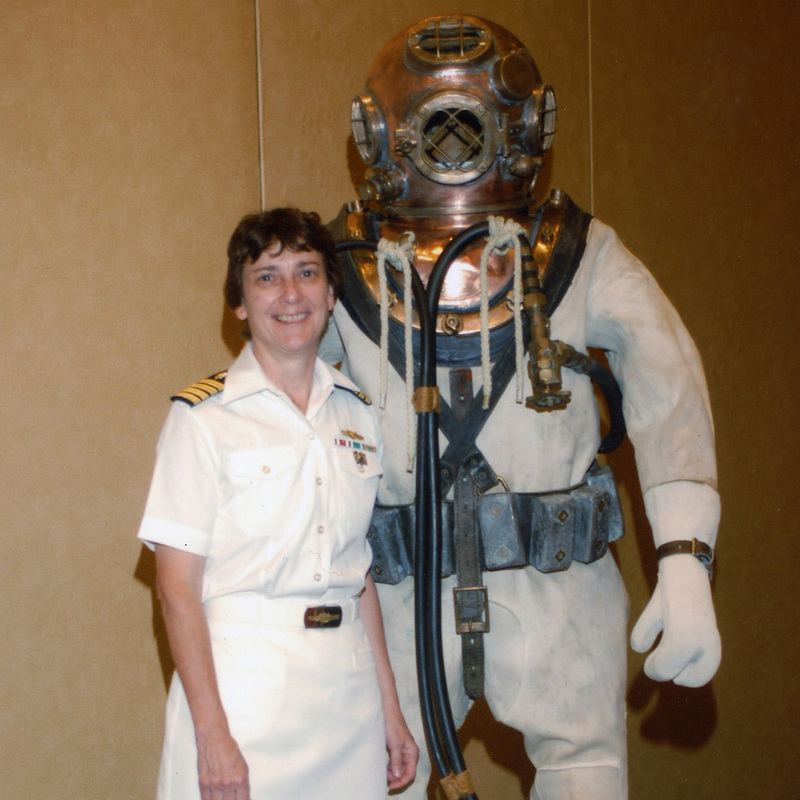 She joined the Navy Experimental Diving Unit as the first women saturation diving officer in 1983. From 1989 to 1992 she served as the Executive Officer (XO) of Mobile Diving and Salvage Unit Two, and as XO at the Naval Diving and Salvage Training Center in Panama City, Florida, 1994–1996. 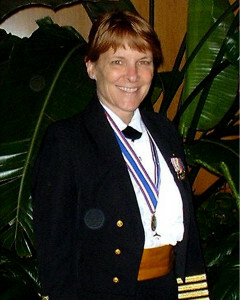 Commander Trukken was inducted into the Women Divers Hall of Fame in 2002. Commander Lori Yost completed Deep Sea Diving and Salvage Officer School in 1990. She served as Officer in Charge of Mobile Diving and Salvage Unit Two, Detachment 409, from 1999 to 2001. 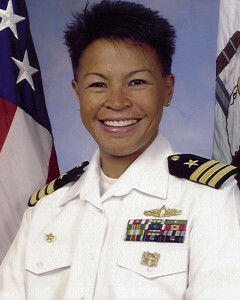 In 2001, Commander Yost participated in the Ehime Maru recovery operations and also dove on the USS Monitor salvages expeditions in 2001 and 2002. She joined the Women Divers Hall of Fame in 2003.